Hmmmmm, I smell snipe hunt. Let’s take the newbies out and see if they’ll find their way home Looking forward to this trip! Just kidding about the bourbon tasting.... we'll bring you back no matter what! Lovetodrive has some great points on that post. Biggest thing I would say it just because the car in front of you can do doesn't mean that you can. Stay within your ability. Looking forward to another Newbie Run in a couple of weeks. Once we get to the gravel lot (now paved and it has been for ever we will do a group pic and talk about the road. Sorry but I have to get back to Fontana for a drive that I'm leading so everyone will have to be on their own for the return trip to Fontana. If you are doing the Friday's are for Franklin drives you will have more time to get back. See you soon people. This x10. My first dragon trip was 3 years ago and on my first trip ever through the guy in front of me put the car off the road and promptly ended his weekend. It was a bit of a buzzkill for the rest of the trip but it goes to show you how quickly/easily it can happen. There are going to a lot of guys there that have been going for years and know the roads well and can easily drive at a different limit. Stay within the limit you're comfortable. Thanks Steve for your input. Believe me from my personal experience up there its over before you know it. One thing is to leave your ego at Fontana. As a Blount County Sheriff office told me after one S2K driver wrecked his car. I get it and understand why you are here but this isn't the place to learn how to drive a race car, those are public roads and they don't care who you are. 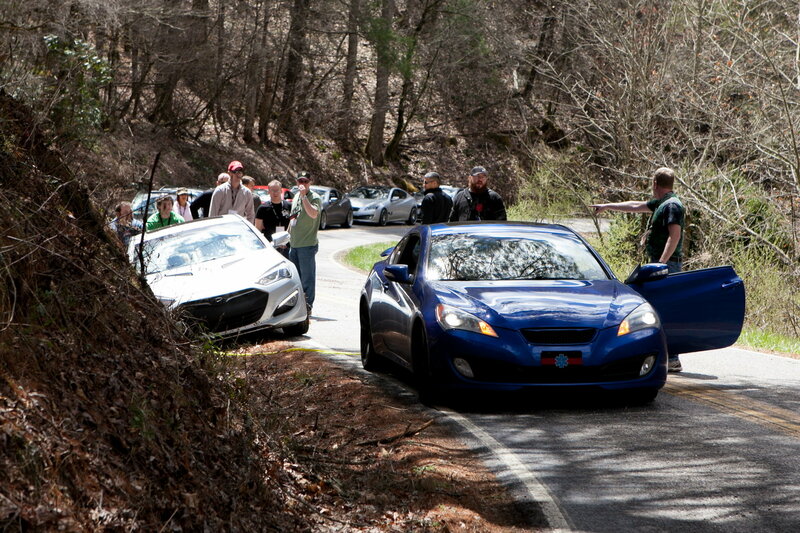 Many of the S2K owners here during the event have been here many times and know the roads and to respect them. The first rule is to come enjoy the roads and meet people who love the S2000 but always return home safely. Soon people soon. I have done this event for a few/number/lot of years.... I feel really comfortable driving the S2000 on the roads down there. Just be careful folks..... it can happen anytime, to anyone. All it takes is a split second... whether at speed, or just cruising along, and you can have issues. I love Ellijay road- its pretty narrow in areas. Really, new tires are a real benefit on your RTD adventures. Be very careful.... in some places, the edge of the road is milimeters from the white stripe.... and then a three foot drop!